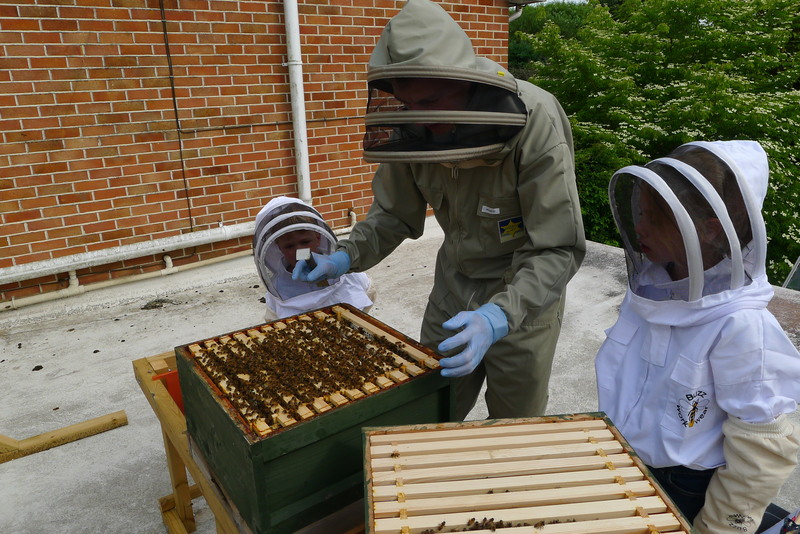 With their new bee suits the children were keen to get involved in the next hive inspection. We had added a super to the stronger colony and it was good to see how the bees were quickly drawing it out with around half the frames already mostly drawn. The gauntlet gloves are just too big though. 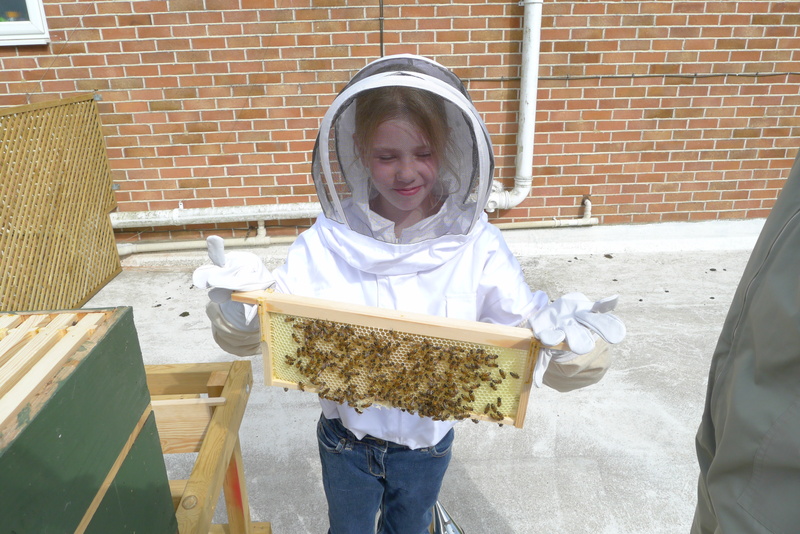 I will get them wearing the nitrile gloves next time, I’ll have to order some smaller ones. 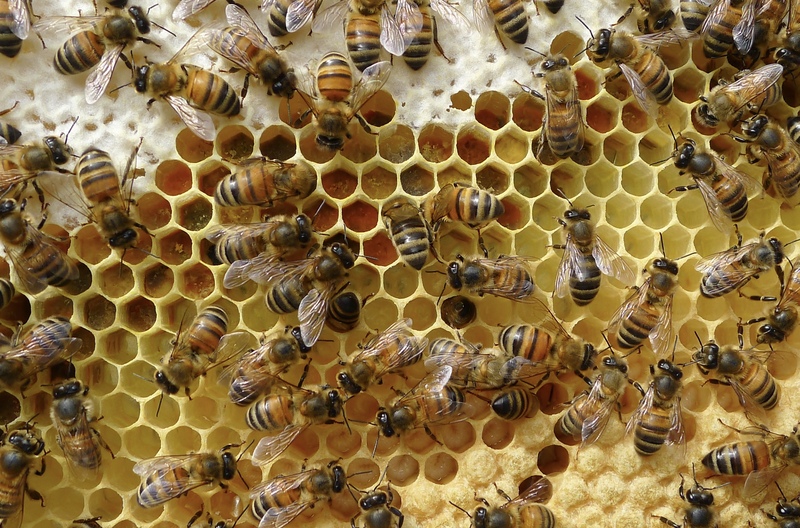 Very calm bees (and children). 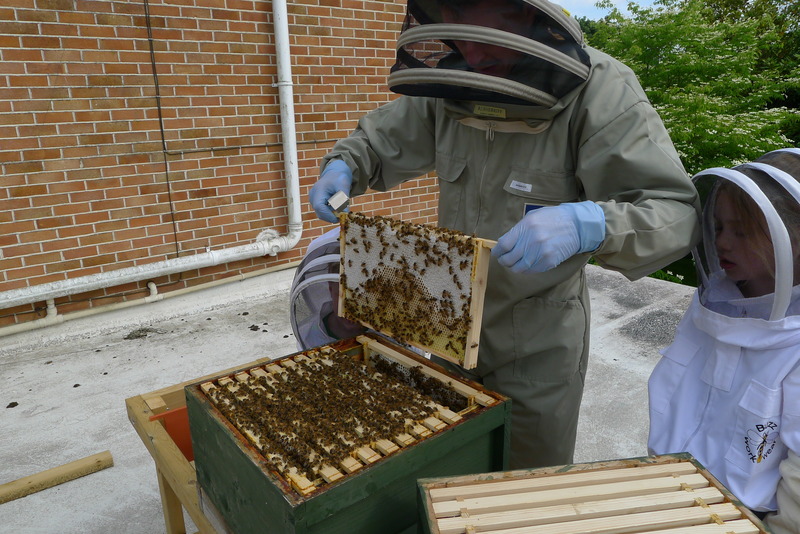 The brood box on the stronger colony was very full of bees and 8 of the frames had brood. 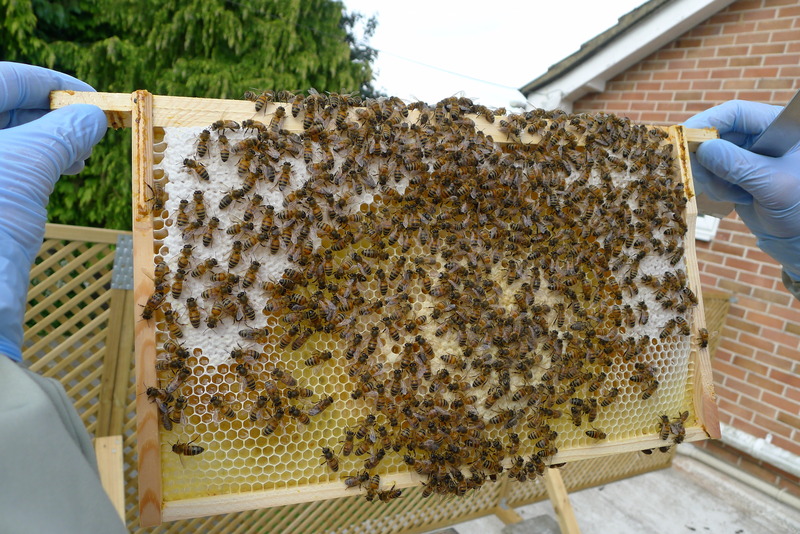 There is quite a lot of stores and pollen on the frames so some of the capped honey was raked to encourage them to free up brood space and lay down their stores int he new super. Louise brought the camera up so we were able to get some nice close-up shots. 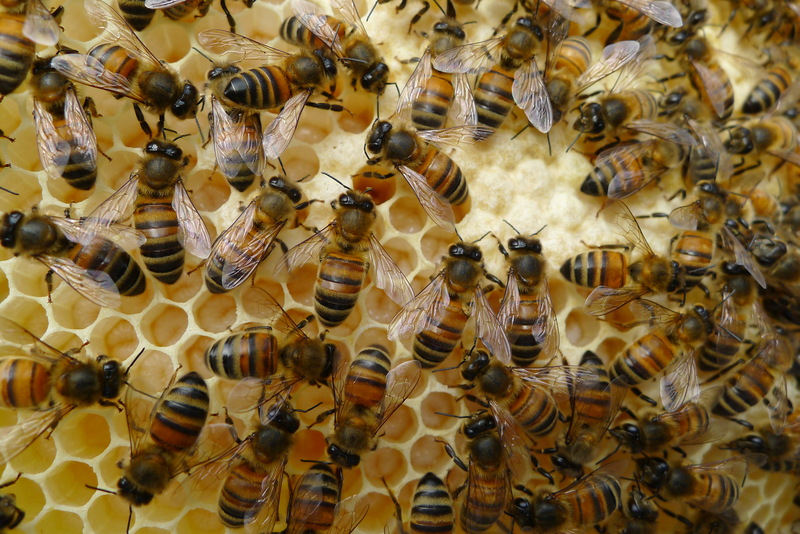 Difficult to see the eggs but nice shot of the bees and brood at all stages. Lovely brood pattern so far.